Electrical blower hand dryers, towel dispensers filled with paper towels made of waste paper or cellulose-based paper towels as well as towel dispensers with cloth towel rolls: these hand drying systems are used in public administration. In 1993, the German Environment Agency tested different hand drying systems in a comparative ecological assessment. Based on the data obtained during the assessment, the system of cellulose paper towels was assessed as being ecologically disadvantageous compared to the other tested systems. Reasons are the consumption of fresh fibre and a comparatively high consumption of energy and water and the air pollution caused in the production process. The German Environment Agency had not developed an “ecological order” for the other three hand drying systems mentioned above - i.e. towel dispensers with paper towels made of waste paper, towel dispensers with cloth towel rolls and hot-air dryers. 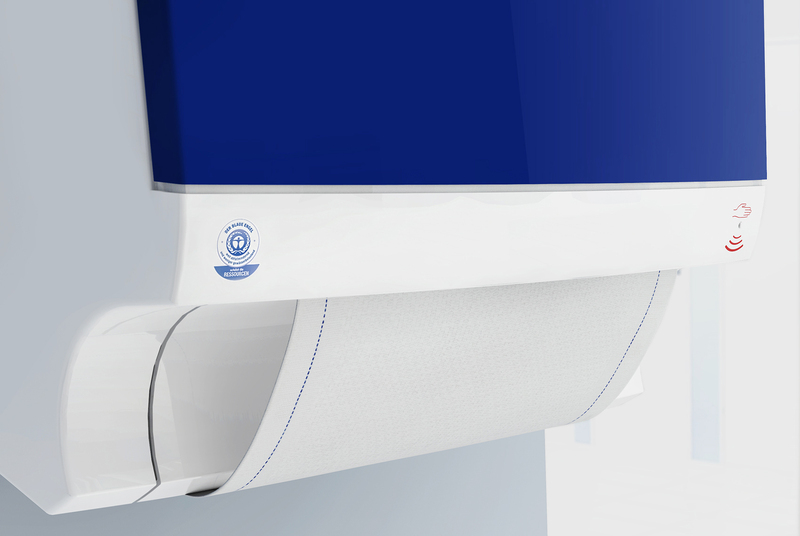 In addition, award criteria for the Blue Angel eco-certification were developed for electrical hand dryers (RAL-UZ 87), recycled paper towels (RAL-UZ 5) and for systems using cloth towel rolls in a towel dispenser (RAL-UZ 77). The German Environment Agency assessed hand drying systems under ecological aspects again in a study conducted in 2014 (UBA texts 33/2014). But, this study is no eco-balance in the traditional sense. It focussed on the development of a UBA Guideline for a Simplified Environmental Assessment (VERUM), in which hand drying systems were used as a case study. The high-speed dryers, so-called jet streams, which are now widely used, were included in the assessment in addition to the hand drying systems assessed in 1993. They even achieved the best assessment in the simplified consideration. Jet streams cause the lowest environmental burden in the category of greenhouse gases, among others. No further differentiation was made for the other hand drying systems (cloth towels, paper towels, hot-air hand dryers) since a restricted number of data was available. However, the use of jet streams in drying operation is often described as annoying due to their noise emission. And, a hygienic consideration of the hand drying systems included in the study revealed that none of the systems raised any concerns in this regard. However, the German Environment Agency restricts its recommendation for blower dryers by saying that they should not be used in sensitive areas such as hospitals. The guidelines and lists of criteria / provider questionnaires of the German Environment Agency contain recommendations for an green procurement of towel dispensers with cloth towel rolls, electrical hand dryers and hygienic papers.